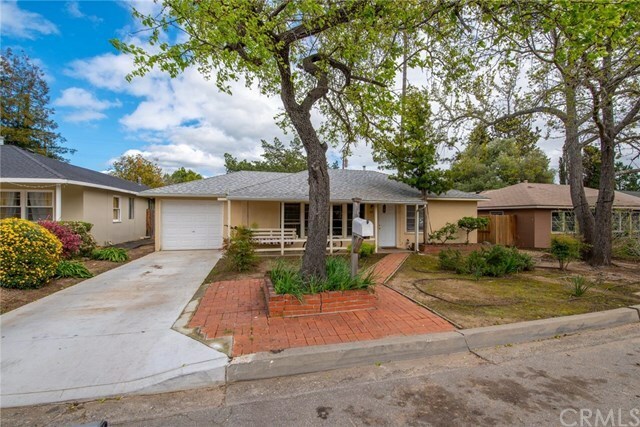 Take advantage of this single level home in the coveted Ferrini Heights neighborhood currently bringing in excellent rental income. Just a half mile from Cal Poly State University and 3 blocks from Pacheco Elementary, the spacious lot has room to expand and abounds with potential. The property features 3 bedrooms, 1 bathroom, open living and dining room, kitchen with gas stove, and a one-car garage. Large windows bring in abundant natural light and the spacious backyard offers plenty of room to add onto the home. Known for its excellent schools, the neighborhood is in close proximity to Downtown San Luis Obispo, shopping, Cal Poly State University, Pacheco Elementary and the popular Bishop Peak trailhead. Donât miss out on this homeâs great potential and excellent rental income. Directions: Take Foothill Blvd to N. Tassajara. Left on Cerro Romauldo. Right on La Canada. House on the right.